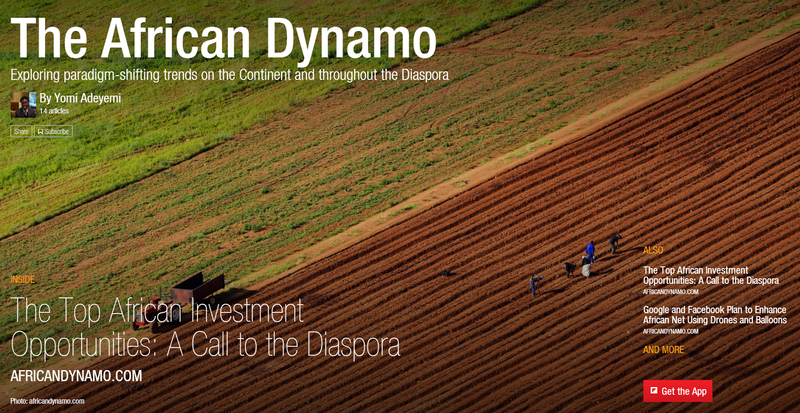 In keeping with our mission to highlight paradigm shifting trends in Africa to the widest possible audience, African Dynamo now has a native Flipboard interface. 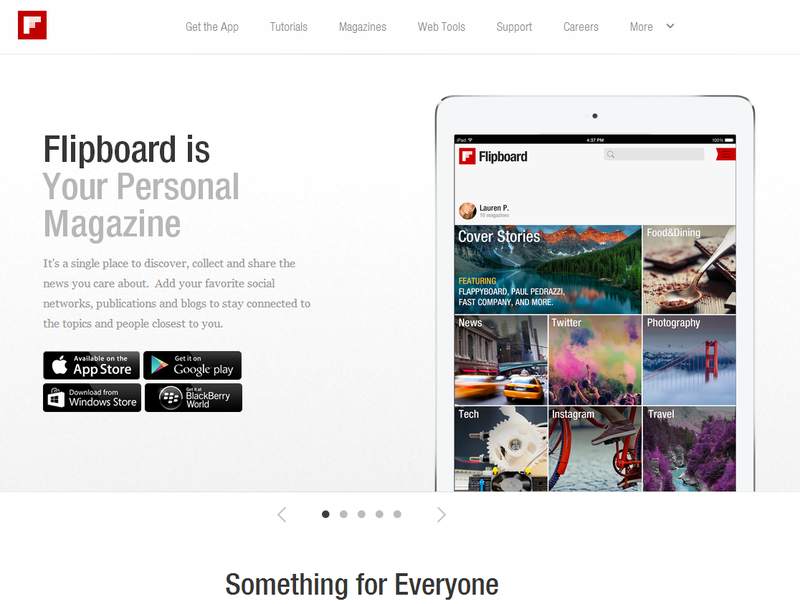 Flipboard is a revolutionary new personal magazine platform that allows users to discover, collect and share the news you care about. 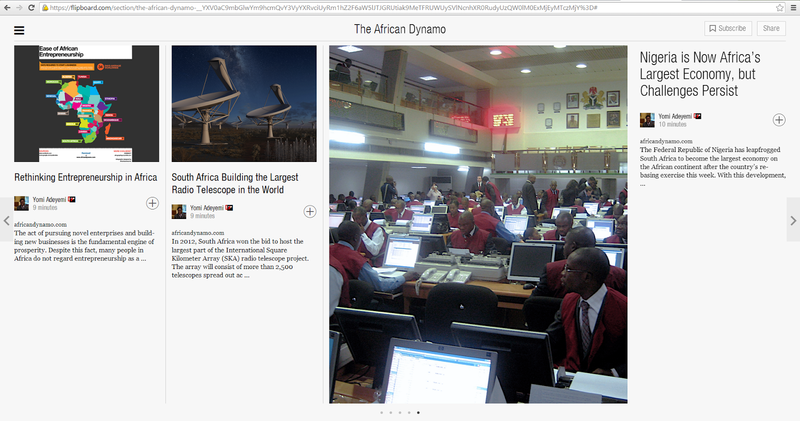 This service offers readers an amazingly immersive and intuitive new way to explore carefully curated content from African Dynamo and other great sites on the web. You'll be able to give your input on the content as well, adding or sharing articles you find interesting - whether you're on the web, or using your tablet or smartphone. 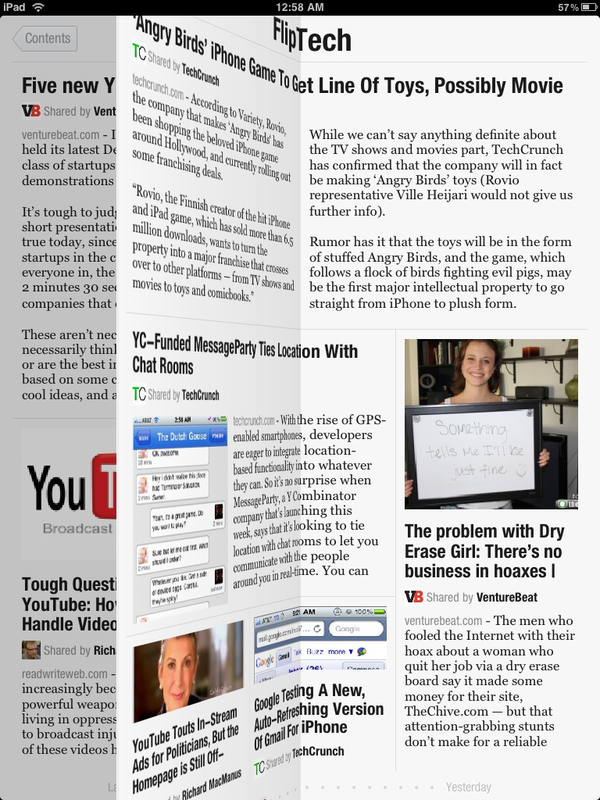 Flipboard is great for thoughtfully curated magazines, beautiful photography, and even audio and video.